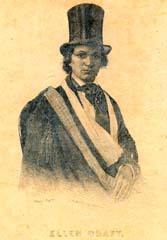 William Craft Running a Thousand Miles for Freedom; or, the Escape of William and Ellen Craft from Slavery. Running a Thousand Miles for Freedom; or, the Escape of William and Ellen Craft from Slavery. James E. Shepard Memorial Library, North Carolina Central University, provided the text for the electronic publication of this title.